revealed other interesting wine discoveries. pristine clean cars , everyone is polite and considerate. It reminded me of the film ‘The Truman Show’ ! I arrived as veraison commenced in Niagara Wine country paradise. 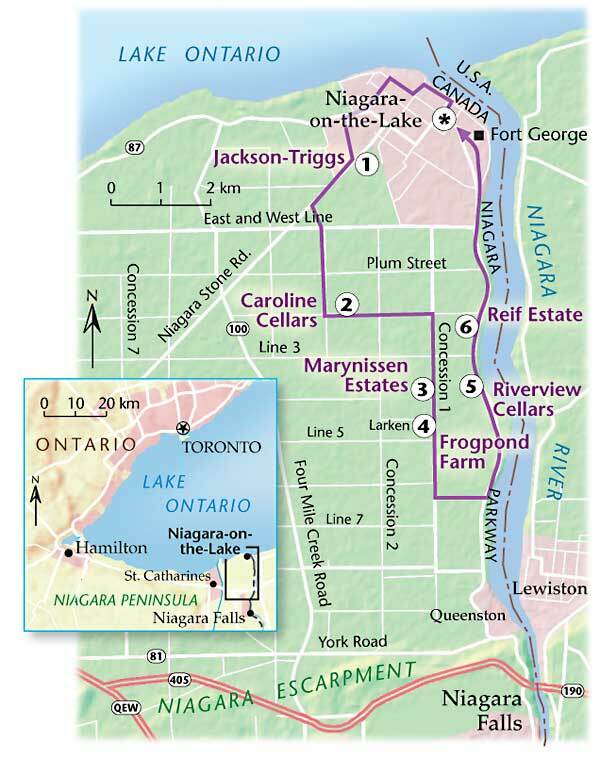 Vintners Quality Alliance Ontario VQA classifies Niagara-on-the -Lake as a distinct area . and the temperatures are modified by the lake. Along the Niagara river there are sandy soils and air currents modify the temperature. Four mile creek lies below the escarpment with red shale soils with silt and clay. St David’s Bench beyond the escarpment was carved by glaciers and has rich clay soils . 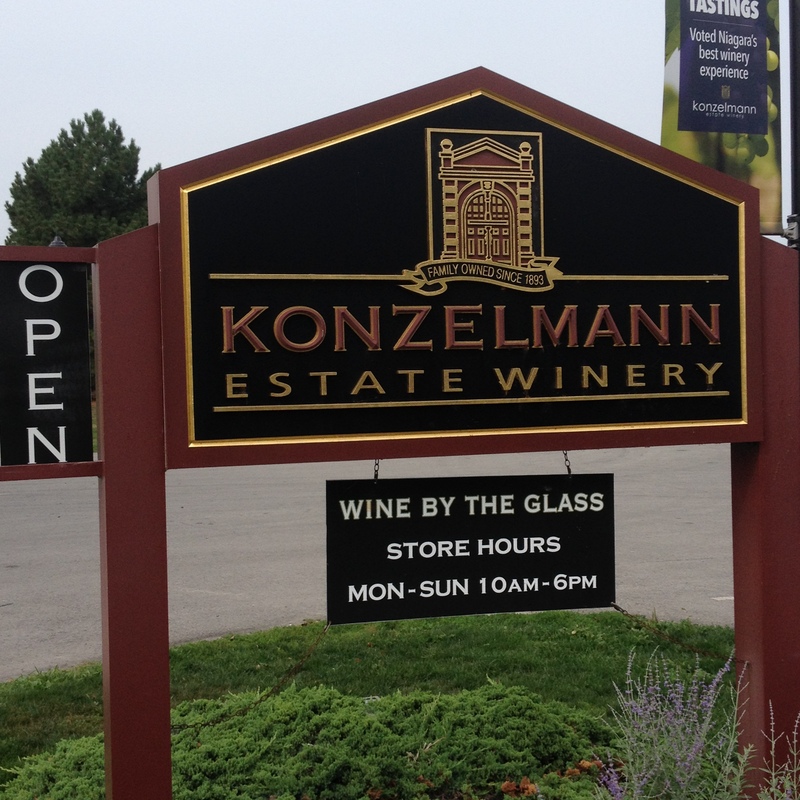 such as Konzelmann only 6% loss secondary to the lake effect only property. 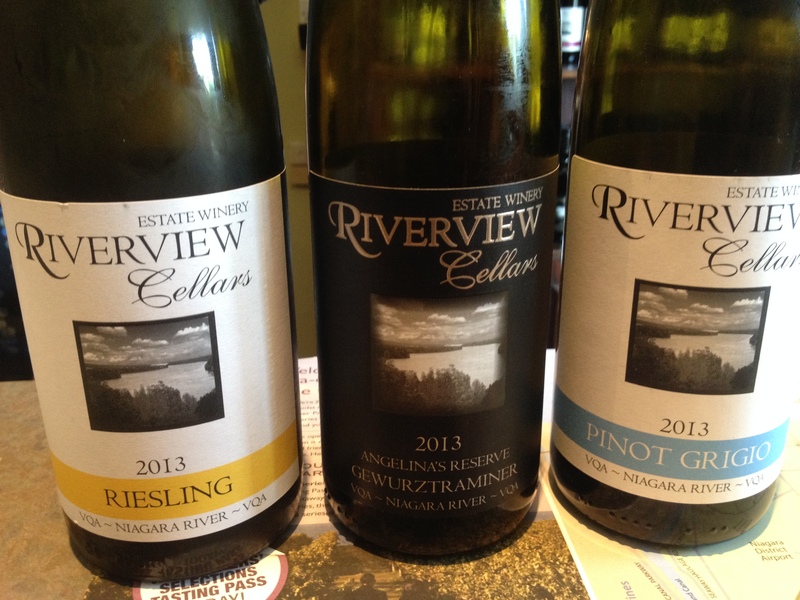 First stop Riverview Winery cellars, 1339 Lakeshore road on the wine route along the Niagara river gorge, spectacular scenery after a morning at the falls. Their Pinot Grigio fresh, pear, clean balanced . 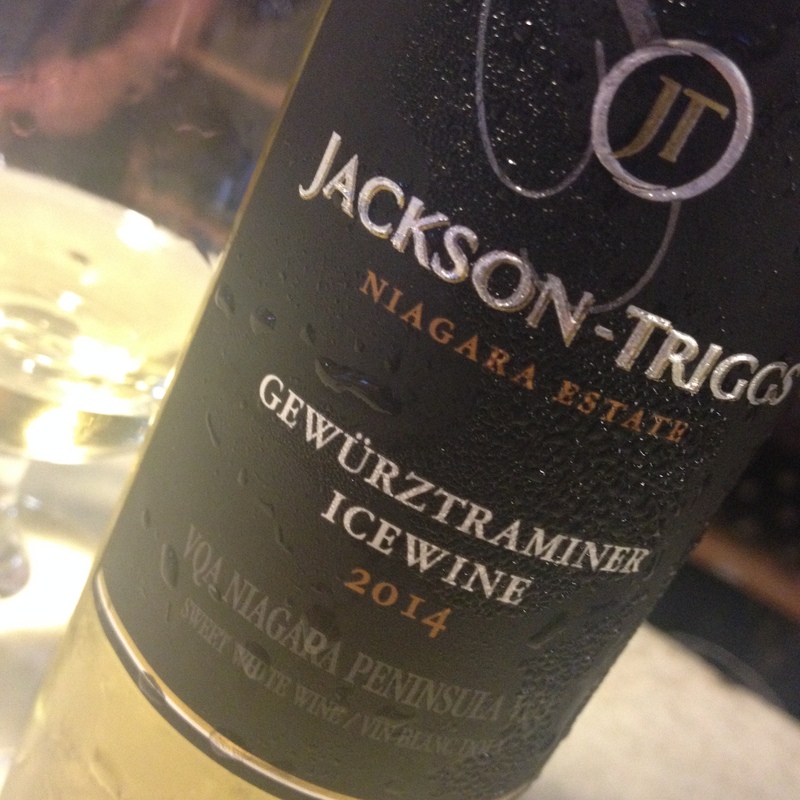 Ice wine from red grapes is very rare this Cabernet Franc was interesting. Herbert Konzelmann remarkably at 78 yrs old is still the winemaker and owner . They make a range of styles. Riesling light citrus lemon . Vidal ice wine- pure nectar mango lychee rich and fantastic. Cabernet Sauvignon ice wine red fruits strawberries hint cassis. 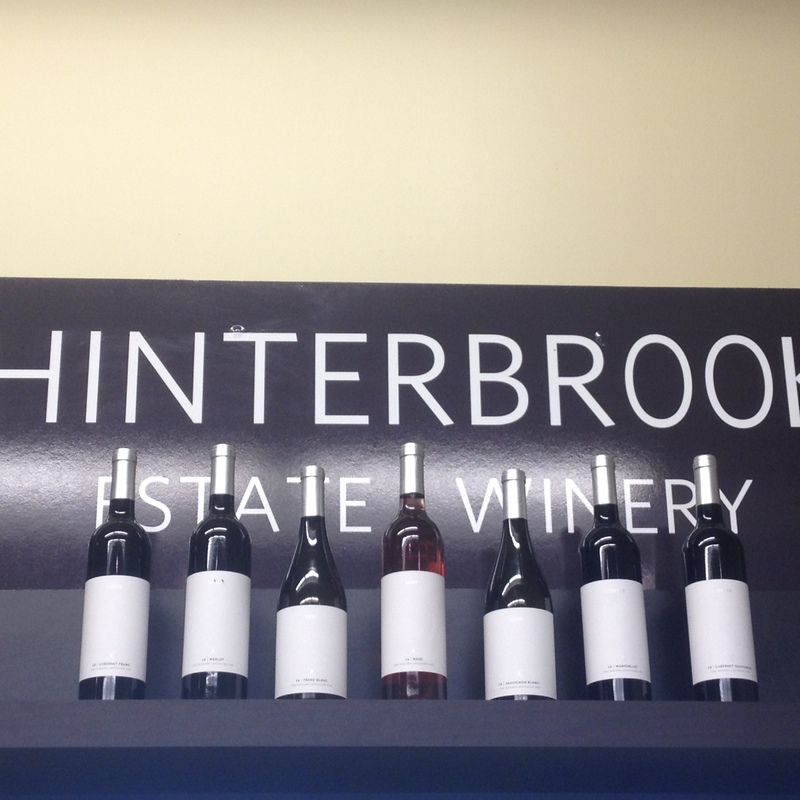 Just down the road , Hinterbrook is a new winery 5 years old. Jacob the assistant winemaker showed me around including the ozone cleaned cellar full of oak barrels. Interesting finds were their unusual Franc blanc a white wine made from Cabernet Franc red grapes. The Riesling ice wine had a min sugar 125g/l less sweet than Vidal . This is a larger set up producing 1.4 million bottles and has a sister winery in Okanaga BC. Sparlikng wine Method Champenoise, Brut from Chardonnay,Pinot noir and Riesling citrus ,fresh, fruity mineral. Gewurtztraminer ice wine luscious delicious floral honey mango tropical fruit texture balance length 5 star my favourite wine so far , phenomenal ! This is a new winery next to Peller , opened November. Two sisters from an Italian family background who’s family are in the Toronto building trade. This is a no expense spared Italianate palatial mansion. The excellent restaurant, Kitchen 76 serves up fine fare with a huge open kitchen and Pizza oven. hint of liquorice soft ripe velvety tannins smooth drinkable with pesto pizza with truffle and Bistecca . I tried their two ice wines Riesling and the rare Cabernet Sauvignon Ice wine -red fruits, rhubarb, strawberry rich full length like sucking on a red fruit sweet the flavours persist , fantastic . which includes many other brands including Trius,Wayne Gretzky, Sandhill and others it is the largest wine producer in Canada. outside on the patio amongst the vines is the Barrel House Grill. with an ice wine dosage , lovely ripe peach and pomegranate . Gewurtztraminer had typical rose and spice but subtle . Private reserve Cabernet new oak ,plum, cherry, cocoa, vanilla and cassis. Gold Award winning Riesling, citrus lemon tangerine apricot beautiful balance long length delicious. Cab Franc length ++++ sucking on sweets 230 g/l sugar, white currant,rhubarb strawberry, candy, molasses and pomegranate another gorgeous Ice wine. Lakewinds Country Manor just fabulous , outdoor heated pool, Billiards table , delightful gardens , marvellous hosts Steve and Jane Book early ! The Niagara wine region is a real treat . The land is flat and easy for our usual wine tour transport,on bikes. The people incredibly friendly and accommodating. Nearly all the wineries are on a walk in basis with regular tours and minimal fee tastings. And of course, above all, Ice wines to die for ! Categories: Canada, news, travel | Tags: Canada, ice wine, niagara | Permalink.